We are award winning Software and digital marketing agency based in mumbai. We are a dedicated team of highly motivated individuals who are specialists in the digital arena. We believe in making a difference in people's lives through innovation and passion. Sounds like your cup of tea, then apply now! Sales Coordination, Sales Support, Purchase Management, Marketing, Good Communication. To confirm name of our sales person of each and every sales enquiry. To confirm technical specs, price and terms with sales person and in case of any deviation to communicate with the customer and get clarification for the same. To prepare quotation with clear techno- commercial specs and terms as per guideline of the sales person and submit the same by mail/ hard copy as the case may be. In case of tender enquiry-prepare the same with due care of attaching all relevant documents asked in notice inviting tender [NIT], and submit the same ONLINE or OFFLINE as the case may be. To follow up with the customer to get the status of the quotation. To report to the sales Head periodically of all reports related to enquiry received-[customer wise-segment wise-Service category wise ] and order conversion of the same. 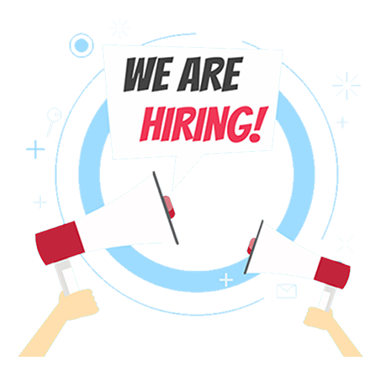 Hiring strong digital marketing professional with sound experience in various Digital Channels-Paid Media, Email Marketing, Paid Campaign Management, Social Media Marketing for an individual contributor role. Optimize the budget for paid marketing based on our property listings and vacancy in those buildings. Sync up with the design team and manage mailers - promotion, awareness, offers, etc. Typography, Layout, Color Theory, Creativity, Communication, Illustrations, photography and animation. Responsible for creating and maintaining the ‘look and feel’ of a line of products and brand presence in the many social networking venues available on the net. Developing banners, animated ads & commercials for display on fb, twitter via net marketing. Create designs, concepts, and sample layouts based on knowledge of layout principles and aesthetic design concepts. Extensive use of Corel draw & Photoshop to create and generate new images. Confer with the managers to discuss and determine layout design. Prepare illustrations or rough sketches of material, discussing them with clients and/or supervisors and making necessary changes. Responsibility for hands on designing within social media sites such as facebook, twitter etc. Use great web etiquette to ensure the right message is delivered through the right channels without offending or annoying anyone. Deliver real time designs relevant to social media spaces which dynamically engages the audience. Work closely with the offline marketing and online marketing team as well as the IT/web team to ensure coherent delivery of activities aligned to strategic objectives. Be enthusiastic but be responsible. SEM, SEO, Digital Marketing, Online Marketing, Internet Marketing,Google Analytics, Campaign Management. The Search Engine Marketing (SEM) Specialist will manage all paid search campaigns on Google, Yahoo and Bing, as well as other search and display marketing engines. A successful SEM Specialist will effectively manage the paid search budget and work with the SEO and Marketing team in order to maximize ROI, drive traffic, and customers. You should have excellent working knowledge of shopping carts, content management system, custom applications development. Ability to understand project requirements accurately and be able to deliver projects on time. Have good knowledge of various practices within the web-Industry and have ability to apply out-of-the-box solutions to build good quality websites. Implement UI for new features and different initiatives. As a front-end application developer you will work with Team Leads, UX experts and other developers to create feature-rich browser-based interfaces for our products. You will also be required to build responsive mobile / web applications and pages that are able to run across desktop browsers and mobile devices. You will be expected to ensure your applications conform to best practice coding standards, make optimal use of advanced framework capabilities, and have full unit test coverage. You will write clear and well-structured documentation, such as technical designs, release notes and user guides.